When listening it may be interesting to have the tube map to follow the lines. 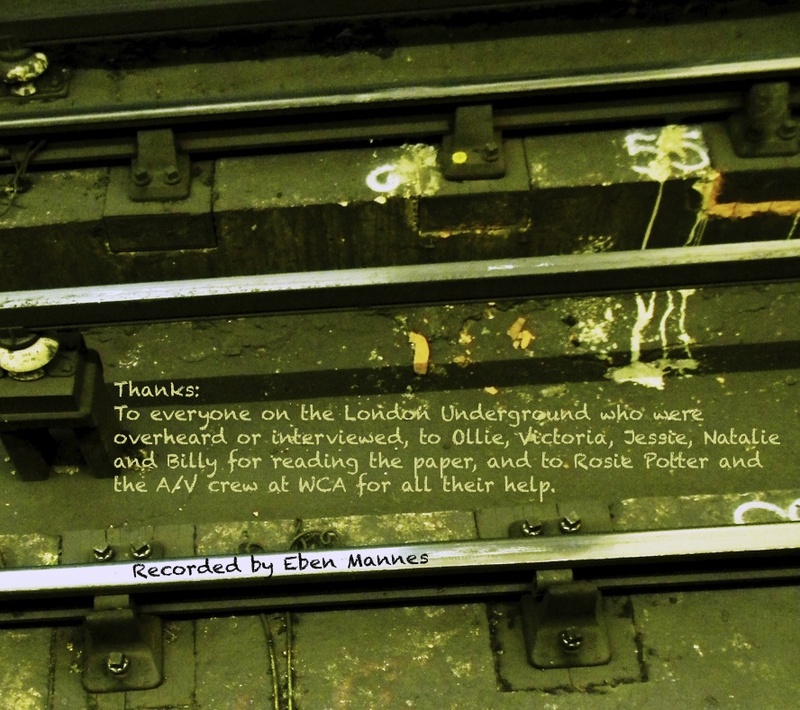 This is a radio documentary of the London Underground public transportation system. It consists of sounds of the tube, bits of overheard conversation, and interviews of Londoners who use the the tube fairly regularly. This is not a documentation of historical facts or current quantitative information, but generally(and hopefully objectively) captures the mood of the people and different aspects of the system during the time it was recorded. I was not trying to take on opinion praising or criticizing the tube. I chose to make this documentary a sound piece to test myself in creating stories without the visual aspect and still engage the audience. In editing I did feel like I was working on a film because there are organized scenes that have an order and progression. My intensions were not just to collage many sounds of the tube together without a plan or a destination. Due to the vast possibilities of topics available when looking at the London Underground and the time restraints of the course and my time in London, I gave myself a rough time frame of 30 minutes for this documentary. As you can see I went over this limit slightly. The material was all recorded between the 18th of October and the 6th of December. I would record to and from school and on different trips around London, as well as specific outings, usually twice a week for multiple hours to gather sounds and interviews. In this documentary there is a roughly outlined route, more easily noticed throughout the first half. This route was determined by where the most interesting material was found and how it would flow in the narrative. Enter Elephant and Castle and board the Northern Line southbound. Overhear two children reading off the stations of different lines until arriving at Stockwell. Switch for the Victoria Line northbound. While standing on a platform a drug deal is overheard with two men and one woman. Board the Victoria line northbound, overhear a man’s thoughts as he reads the paper, more voices join in emphasizing the information taken in by a large percent of regular tube riders on their journeys. Rush back to reality as the first man almost misses the doors at his stop, Victoria Station. He throws his paper down and squeezes out just in time. Series of service updates and opinions from users of the London Underground, good and bad. Begin riding the tube and overhearing random events and bits of conversation. Audio spectrum splits to two journies on separate lines, one on the left and one on the right. Changes at various stations. Hear slight differences in the sound of different lines. Begin to ride the Bakerloo line southbound, this is in the middle of the spectrum from left to right, with other things still happening on either side. 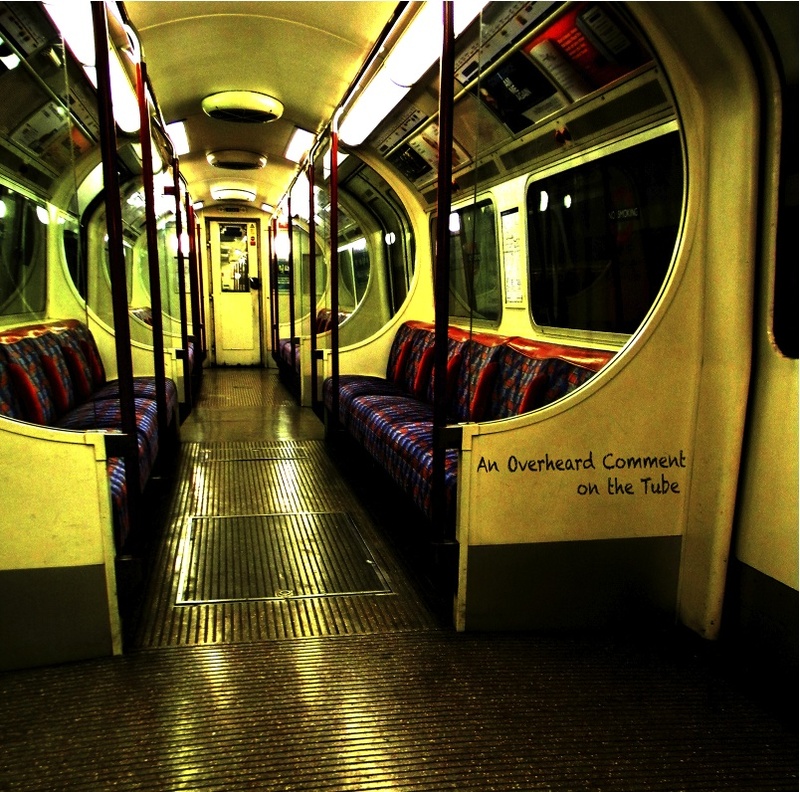 Journeys on the left and right sides fade, the focus is exclusively on the Bakerloo Line. End at Elephant and Castle, train terminates, waits, and resumes travel northbound, continuing the cycle.